Henry Thomas Avery, age 85, of Rossville, Georgia, passed away Thursday, November 8, 2018. He was born on April 22, 1933 to the late Will Avery and Ellen Thompson Avery. Henry attended school in the Walker County School System and was a disabled veteran of the Korean War. His grandparents, Jack and Annie Thompson; sisters, Louise Bailey, Mildred Esters, Annie Mae Bryant; and brother, James, Avery, preceded him in death. He is survived by his nieces and nephews, Hansel Bailey, Robert Bailey, Caspar Bailey, Lawrence Bryant, Elizabeth Thompson, Mary Treadway, Jeanette Caldwell, Michelle Wallace, Lisa Esters; special caregivers, Debbie Johnson, Iuanita Rutledge, and Sheila Lewis; and a host of other nieces and nephews spanning across five generations, cousins, other relatives, and friends. A funeral service will be held Saturday, Nov. 17, at 12 p.m. at Shady Grove Baptist Church, Highway 341, Chickamauga, Georgia, with Rev. James Clark as eulogist, Rev. Ron Carson, and other ministers officiating. Interment will be in Summerville Cemetery. 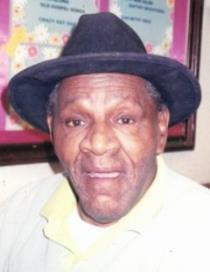 Please share your thoughts and memories of Mr. Henry Thomas Avery at www.willisfuneralhomedalton.com.